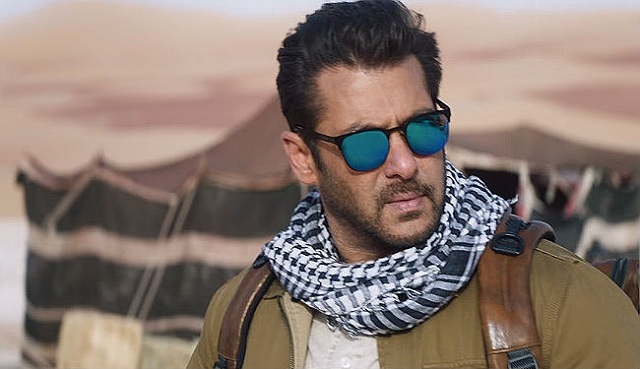 Tiger Zinda Hai 2nd Thursday (14th Day) Box Office Collection Estimates. Tiger Zinda Hai has shown steady business again on 2nd Thursday (14th day) at box office. Film reported 5-10% drop across the country. Film business is still affected in Maharashtra belt as audiences are coming in low numbers in theaters. Combined loss of business from Tuesday to Thursday will be anywhere between 1.5-2 crore nett. In addition film already got affected in Rajasthan in first week. Tiger has collected an approx 5.25-5.5 crore nett on 14th day (2nd Thursday). Thus, film total at the end of second week is approx 291.75-292 crore nett. Film is all set to cross 300 crore mark on 3rd Saturday. Tiger has retained good amount of screening for 3rd week running and should lead box office business again this week. Thu - 5.25-5.5 crore nett (est). Total - 291.7-291.95 crore nett (approx). Will surely cross sultan in few days and might be touch and go for bajrangi bhaijan. That is always case with action movies as they will drop big time from third weekend. Same happened with dhoom3. And being honest I think effect of mumbai and rajasthan is being blown out of proportion. We have to accept that film is now running out of fuel. Pagle check second thursday of dangal and pk . Kuch bhi mat likha karo just to tell world that u r a big fool.